Please note: currently TuneIn are not accepting submissions for new stations. 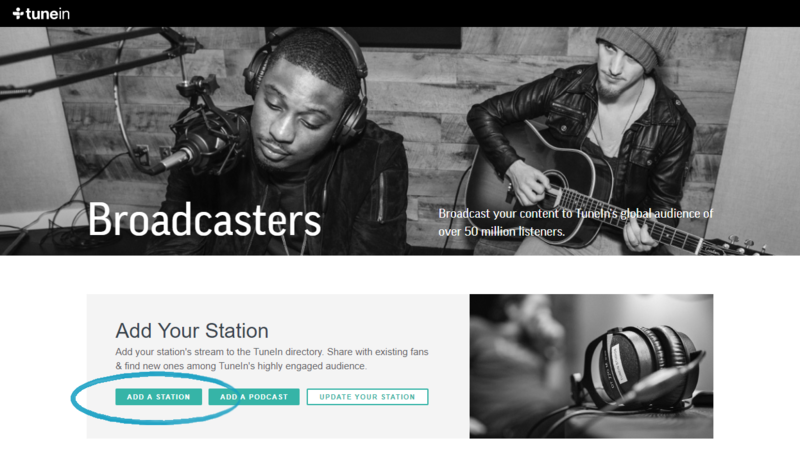 If you already have a TuneIn station you will be able to add your Mixlr live stream URL to your existing station. TuneIn is a popular service which provides listeners access to over 100,000 radio stations and 4 million podcasts across the globe. 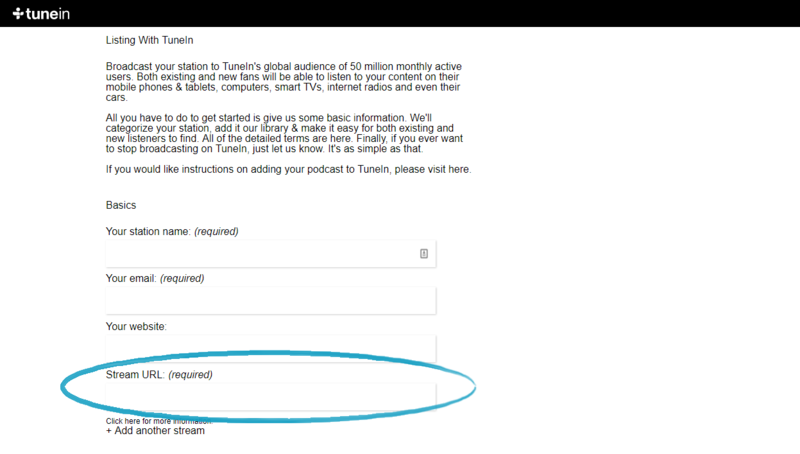 In this article we'll show you how easy it is to add your Mixlr broadcasts to TuneIn. 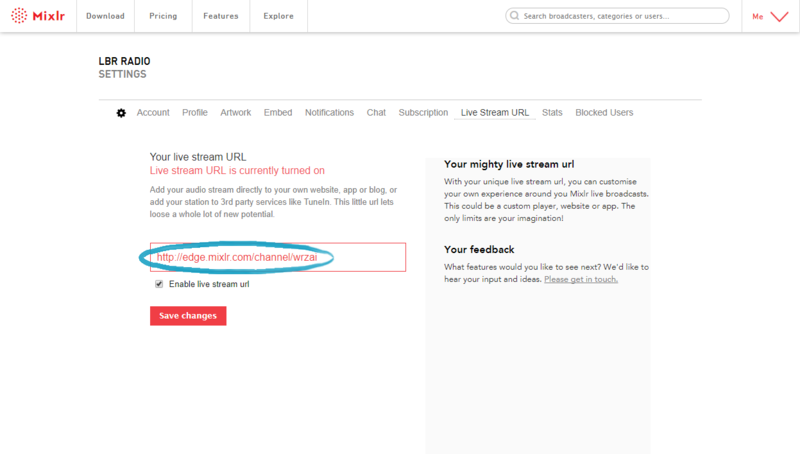 TIP: to add your Mixlr channel to TuneIn you'll need to use the live stream URL which is available to Mixlr Pro subscribers. You can learn more about Mixlr Pro here, and you can sign up for Mixlr Pro here. Once you've got your live stream URL, go to http://tunein.com/broadcasters/ and click the 'Add a station' button. Enter the information requested, adding your live stream URL in the 'Stream URL' field. In the 'Your website' field you can put your Mixlr livepage or your own website, as you prefer. Make sure you select 'Internet only' as the broadcast type, and upload as much additional information about your station as you can. After you've completed the form click the 'Sign Me Up!' button and your Mixlr channel will be submitted to TuneIn. Please note that it can take TuneIn up to 3 working days to review your submission. They will contact you directly, via email, with the final outcome of your submission.